The self-identified "child of Africa" speaks about her creative process and some of the challenges she's faced as a young African designer. 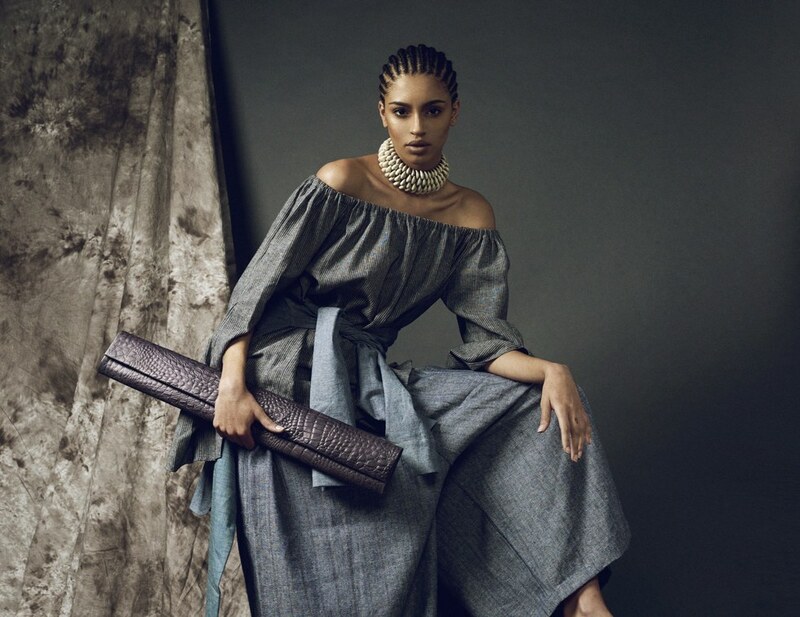 SENEGAL—At just 28, Sarah Diouf is taking the media and fashion world by storm. The self-identified "child of Africa" is the creative genius behind Tongoro, a ready-to-wear fashion label based in Dakar, and Noir Magazine, a lifestyle magazine for black women. We spoke to Diouf about her creative process, her influences, and some of the challenges she's faced as a young African designer trying to establish her foothold on the continent. OkayAfrica: Your father is Senegalese and Congolese, your mom is from the Central African Republic (CAR), and you were born in Paris but raised in Abidjan. How have these different cultural influences shaped you and your work? Sarah Diouf: I've always considered myself a child of Africa. The mix of cultures is so prominent that I just take all of my cultural baggage, what I've been taught by my family, and I put everything into my work. So I think as far as influences, I just try to translate as many stories that I can out of all these different cultures inside of me. OkayAfrica: What were some of your inspirations for the Tongoro 2017 spring collection? In general, where do you find your sources of inspiration? SD: I was inspired by La Teranga, this Senegalese concept that kind means welcome. This idea that wherever you are someone will come and help you. That was the concept behind the collection. As far as the design, in Senegal, we have a very modest but at the same time very free way of dressing.I was trying to combine those two aesthetics so that both the more occidental European people and the more modest people can find themselves in the different shapes. OkayAfrica: And how important was it for your line Tongoro to be a 100 percent made in Africa? SD: It was very important because while Tongoro is 100 percent a business, I have this very ethical state of mind. In my mind, I had to create something that impacts the lives of people that work with me. It was important for me to make something here [Dakar] that would reflect what I stand for. I'm coming up with an African line which is made in Africa by African artisans and hopefully the more I grow, the better they get at their work and the more financial freedom they gain through the work that they're providing. It's like a virtuous circle. The whole process is what drew me to have a made in African labels and a base also. "As far as influences, I just try to translate as many stories that I can out of all these different cultures inside of me." OkayAfrica: How did it all start for you? You mentioned that you were a business major, you didn't see yourself as a designer. How did you actually become one? SD: When I came back to Senegal, everything sort of happened naturally. I started coming back three years ago, on holidays visiting a friend of mine who just relocated back for work. I was wandering around in the market, got some fabric, and she took me to one of her aunt's who has a tailor and who some clothes for me. On my way back to Paris, I was attending shows during fashion week and one magazine editor came to me and said: "OMG I love what you're wearing! Where is it from? Is it a new brand?" A lot of people kept asking me where it was from and so I realized that there was an opportunity I could jump on. Every time I would leave Dakar, this one tailor (who I still work with today) would send me text messages through WhatsApp and ask me when I was coming back. I quickly understood that he was because he was in need of work. Outside the cultural festivities, there's not so much work for the tailors. And there's so may tailors and so many talented people, the thing is you just have to find them, train them and structure them so you can build something that hopefully is going to be bigger. OkayAfrica:What type of challenges have you faced as a young African business owner and creator? SD: First I'm a woman, I'm under 30 and I had never lived in Senegal before. I grew up in Abidjan so I know Ivory Coast very well, I also know the Central African Republic very well, as well as Congo. Out of my countries of origins, Senegal was the one that I knew the least. To me, it felt like it was the part of my identity that was missing and I didn't want one day to give birth to a child and not be able to translate this part of my cultural heritage, so I felt it was mandatory for me to come back here, so I could come back to my roots and improve my knowledge about this part of my history. However, the fact that I had no experience at all of the market was a challenge. In its own way it was also great because to me when there's a will there's a way, and it's actually the best way to learn and find out what you're looking for. But the biggest challenge has probably been the fact that I'm a woman. Senegal is a very men-driven society and it's difficult for men to understand that you have some type of authority above them. For example, I'm looking for a new space to accommodate all my tailors, and when I arrive people are always expecting to meet with a man to rent the place.It's all those stuff but I would say it's minor stuff. One of my biggest challenges right now is training my tailors and making them understand that they have to produce their work on time. People will tell you ok this dress will be ready I'm gonna work on it and you leave them for a week and you come the day everything is supposed to be done and nothing is done. This is one of the reasons why I'm not mass producing yet, we still have a lot of work to do. "Africa is rising: economically, culturally, it's our time now. " OkayAfrica: It seems like African prints and style is “in” with a lot of western designers heavily showcasing African inspired looks in their summer collection. I’m specifically thinking about the Africa Now Festival which happened earlier this year in Paris and featured mostly European designers. How do you explain the increased focus on African fashion but the lack of a platform for African designers on the international stage? SD: The way I see thing is that it's a cycle. 10 years ago everybody was focused on Asia. Chinese designs were everywhere and everything was China inspired. Then there was the Japanese wave. Everything goes in waves and Africa is rising: economically, culturally, it's our time now. It's the only place you can explore and actually come up with something new. I then feel like it's a duty for African designers to come together and maybe create a consortium or some kind of Council of African Fashion Designers to establish what are the standards. Just have something that can gather everyone and at the same time protect everyone. Because you know what happened with my design is an indicator that we are not there yet. We create clothes and we're putting them out there and people buy them but there's still a lot of work to do. Something like that will have never happened to a European designer because the industry is made for you to be protected and create the proper way. OkayAfrica: Jumping on this, late last year your bag design was stolen by YSL. Has their team apologized? Have there been any recent developments? The thing is I didn't contact them directly, I went through a lawyer and the case is currently in process. 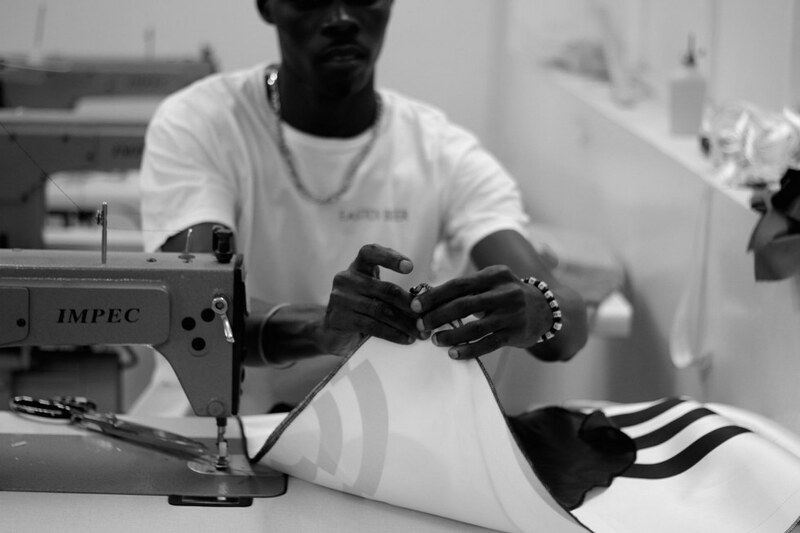 OkayAfrica: If you're based in Dakar can you copyright your designs? SD: You can copyright, it's something that I learned recently. There actually an intellectual property organization, it's called OAPI (African Intellectual Property Organization) but no one will tell you about it if you don't look for it. We need some more organization to protect African creatives but I think it's hard to make it happen. OkayAfrica: Can you talk a little about Magazine Noire. This is your second online magazine, what space do you hope this magazine will occupy and what can we look forward to? Well, first this time it's a digital and print magazine. The print issue is coming out in September. To me, Noire is a lifestyle magazine for black and African women all around the world. Today you have to have fashion even when you talk about culture, you have to have a little of art. Because the place of black women and their voice is expanding on the beauty market, you also have to have some type of beauty content. I wanted to do something well put together, I wanted to have something that would evoke some kind of luxury. But saying this, if you take a deep look at the magazine's editorial you will see that we meet both high fashion labels and really affordable labels. Because this is what's happening in the streets today. When I pull a blog or magazine and I see the type of product they advertise. It speaks to a very tiny segment of the population. I might be able to buy a bag like every 3 months but not every month. What Vogue used to be at its creation was a magazine for the people, women could open it and find out about affordable trends and DIY products and I really wanted this magazine to be just that. It's like coming back to basic. I always insist on telling that it's an African magazine because it's made in Africa and based here, but hopefully, I will be able to build a brand that speaks to a lot of black women globally. OkayAfrica: Fashion is a big part of your life. It's reflected in you starting you own business line and in the content of your magazine, what fashions icons do you look up to? SD: I've always been very fascinated by Miriam Makeba and Princess Elizabeth of Toro. To me, these women embodied African elegance. They both had a poise that I really admire. Beyond that, I'm crazy about Malik Sidibé, I had the opportunity of meeting him at his studio back in Bamako and got to take some pictures there. It was just crazy to me all the documentation that this guy accumulated over the years! he was truly the birth of what we call the African aesthetic today. His work as influenced me a lot and he's been one of my biggest inspiration. OkayAfrica: Last question, how are you managing a successful fashion brand and a magazine. What's your secret? SD: I don't sleep [chuckles].